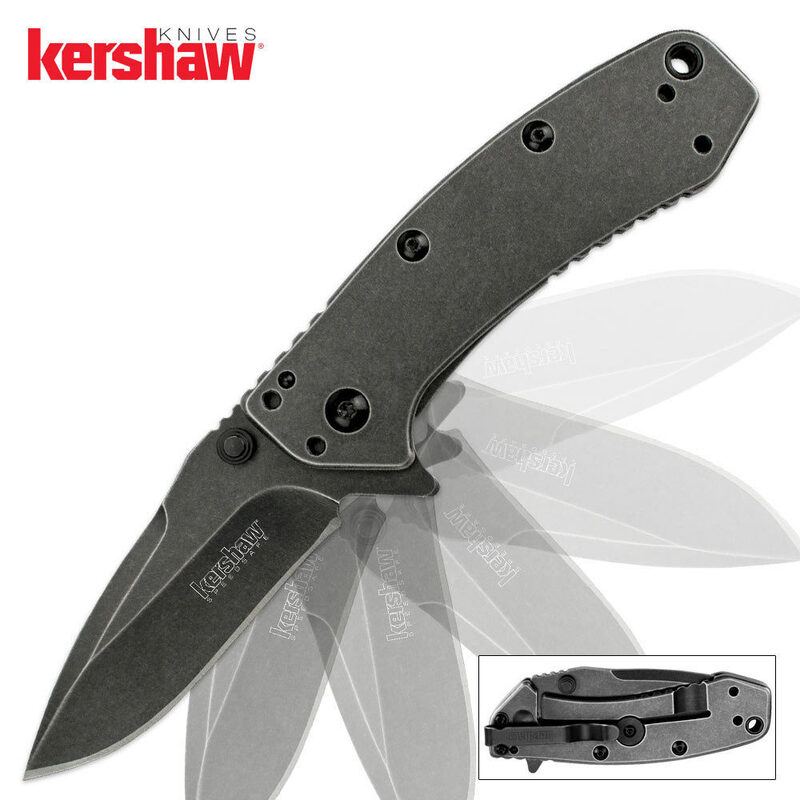 Kershaw Cryo Assisted Opening Pocket Knife Blackwash | BUDK.com - Knives & Swords At The Lowest Prices! The Kershaw Cryo was designed by world renowned knifemaker Rick Hinderer. This production knife features the same legendary Hinderer frame lock as Rick's custom knives. The all stainless steel construction was finished in Kershaw's trademarked BlackWash finish giving it a real manly appearance. The 2 3/4" 8Cr13MoV stainless steel blade opens quickly using the SpeedSafe assisted opening mechanism. A 4-position pocket clip ensures you can carry your Cryo in your favorite position no matter if you're left or right handed.